Lost Your Data? Get It Back. Start a free evaluation, or find out more about data recovery symptoms below. Click any of the devices below to find out more. NAS or Network Attached Storage provides extra data storage and improved failure tolerance much like a RAID array, giving you a better chance of retaining your data in the case of a hard drive failure. Recovering data from a NAS device can be a tricky process. Most NAS units are similar to a standalone PC in that it houses its own operating system which is Linux. Once the hard drive failure is addressed this will allow you to mount the drives on any Linux system. We do not recommend attempting this yourself. Altering the original data can lead to permanent data loss. 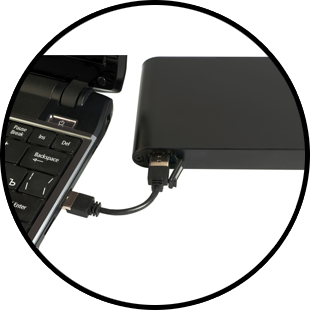 Laptop hard drives are more likely to suffer from failures related to the portability and informal use of the machine. Dropping the computer or spilling liquids are common events that result in hard drive damage. Laptop hard drives are designed to withstand more abuse than your standard desktop hard drive but they are still considered very fragile mechanical and electrical devices. After such an event your computer hard drive may not boot up or you may hear unusual rhythmic/intermittent hard drive clicking noises. This is certainly a hard drive failure and no further action should be taken to reduce further damage. 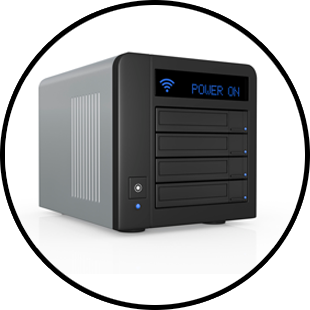 Common RAID array failure symptoms that are most described by our clients include RAID share stopped mounting, RAID configuration lost and RAID partition missing. When it comes down to it, all these issues usually means just one thing, the RAID was running in degraded mode. Meaning one drive went offline days, week’s even months ago and the RAID continued to function but it was running without redundancy or technically speaking without parity. Once the second drive fails the entire RAID array goes offline and the end user has no way to restore the data. 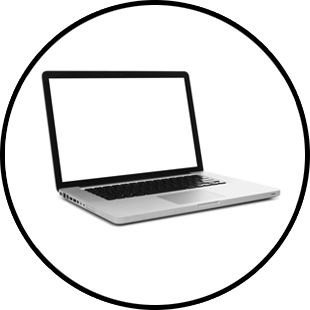 At this point professional data recovery assistance is essential. Desktop hard drive failures can vary from simple to extremely complex and challenging. If your hard drive was intermittently booting and then you noticed it deteriorated to a point where it will no long boot at all, this is most likely a very common problem known as bad sectors. This is an elementary problem to remedy with the proper data recovery tools and knowledge. Where as a desktop hard drive that is rhythmically clicking, indicating a severe mechanical failure will be a much more time consuming and costly endeavor that involves replacement part and rebuilding the hard drive in a class 100 clean room by a highly trained data recovery technician. External hard drives are very susceptible to damage simply because it gets placed in high traffic areas. It’s common for an external drive to get bumped while spun up or even knocked over and onto the floor usually resulting in mechanical damage. This type of failure often results in the read/write heads getting damaged and once powered back on the classic “click of death” sound will occur confirming those fears. More severe impacts can even damage the liquid bearing which will stop the drive from spinning up all together. Data recovery specialist have the tools and techniques to handle severe cases such as this. . 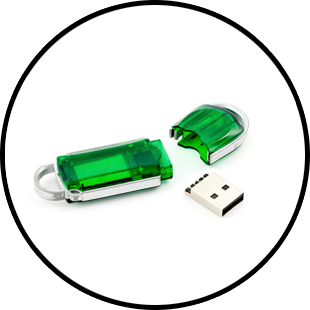 Thumb drives are a type of solid state memory that have no moving parts, unlike a standard hard drive, but still suffer from a variety of problems. Most frequently they accidently get bent or broken from being perilously inserted into the side of a laptop computer. Fixing these involves some precision soldering and in other cases removing the data chip so that the data can be extracted using a specialized computer in tandem with data recovery software. 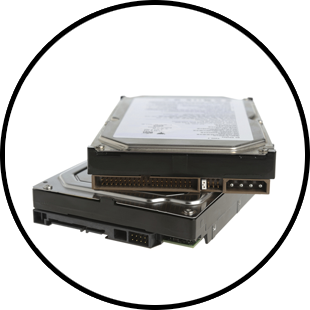 There are so many different manufacturers of this device data recovery solutions can be challenging. Custom written programs need to be created or existing ones modified to make data recovery possible. 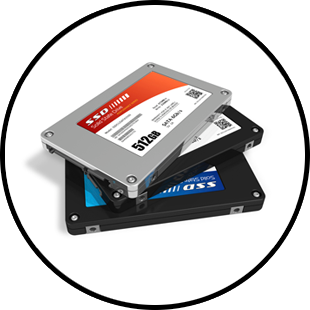 Solid State Hard Drives have no moving mechanical parts as a conventional hard drive would but still have high enough failure rates where backing up your data is highly recommended. The media where your data is stored are on NAND chips. This is basically the same technology as flash memory like in thumb drives. The media can fail from heat or corruption causing bad sectors or damage the Flash Translation Layer (FTL). 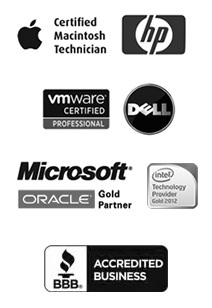 The FTL is simply software that supports normal file systems with flash memory. If the FTL get damaged or corrupt it must be rebuilt with special data recovery tools and techniques to allow access to the data on the flash memory. 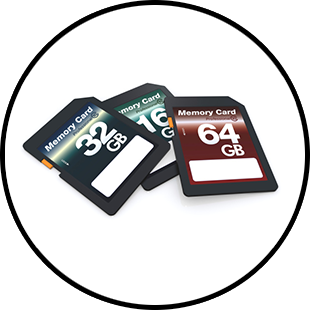 Camera Card / SD Card data recovery can, like most cases, be very simple or incredibly challenging. After you experience a problem it is important not to make thing worse but altering the original data in any way. That includes using cheap over the counter data recovery software or anything else that would write to the device potentially overwriting your critical data. If you have reformatted your camera or SD card the data is still intact. Don’t compound the problem, call a professional data recovery service that will preserve the data by the using the correct procedures. Not sure, it just doesn’t work! Can’t start, boot, or mount my computer or other data storage. Blue or black screen on startup. AKA “Blue screen of death”. Lost power due to an electrical failure or surge, now data is. Hard drive will not spin/power up. Computer running slow, takes a long time to boot up. Can’t start operating system, computer, or device. Specific files or folders will not open. Directories or files are completely missing, suddenly. Computer or device crashed while saving, or opening a file. System deleted or corrupted due to a virus infection. Need to recover files deleted malicious by an individual. Device is making a faint, or loud, clicking noise. There is a small whirring or louder than usual spin noise from the device. Periodic beeping noise coming from device. Hard drive or device was dropped or physically bumped. System starts up very slowly, or not at all. Drives or array corrupted in a reboot attempt. Will not reboot. RAID share has stopped mounting suddenly. Critical RAID partition is suddenly missing. Fire, flood , or other physical damage where RAID is stored. Not sure, the RAID device simply will not boot. Device simply will not work. Cannot find or access my critical files. Hard drive was working one day, and then not the next. Computer will not boot up and we don't know why. Our main office is located in Irvine, CA and provides data recovery to all of local Orange County. We also accept drives via mail, and can ship all over the US and Internationally. View a map and location specific data from various locations. Ready to set-up an appointment? Give us a call in Irvine, CA at (949) 387-4656. Nationally at (800) 709-0326 or get an Online Quote.